As some of you know, (but many don't :), we have Ginger Burns coming to the shop for a Design Your Own Modular Knit Garment class on November 7th and December 5th, from 10-4. The first part of this workshop will teach us Modular Knitting. In this class, we will learn to modular knit making mitered squares and rectangles. During the second part of this class, we will use our newly acquired knowledge and apply the mitered techiniques - with Gingers guidance and support - to custom design a garment. Ginger will focus on the custom design process and fit to create garments that dazzle. This should be a great learning experience for all levels of knitters! Class fee for this class is $80.00 and there is still room to join us! Call us at 603-505-4432 to reserve your seat in this class! Ginger will also have her garments on display on Friday evening, November 6 for a trunk show... rumor has it some of her garments will be for sale... oh la la! Come and see for your yourself the amazing things you can do with modular knitting! Are you wondering what modular knitting is? 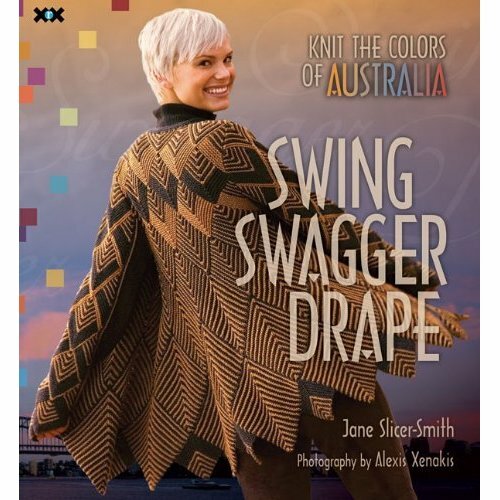 The cover of the new and just in Swing Swagger Drape book by Jane Slicer-Smith displays a modular knit shawl... pretty gorgeous huh! More amazing news for our Afghan lovers! 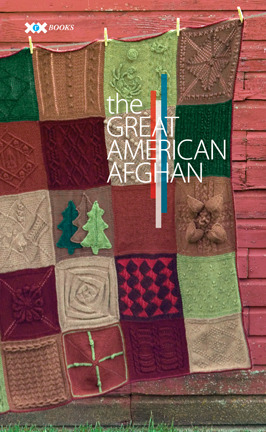 We have just posted the The Great American Afghan series kits in Cascade colors in both 220 and Superwash - including Great American Aran Afghan, Great American Afghan and the Great North American Afghan books. Or you can change the colors to suit your color needs! The Yarn and Fiber Company is pleased to announce the addition of the HiyaHiya Interchangeable to our needle line-up! HiyaHiya Steel Interchangeable Knitting Needle Set includes Size US 2-8 (2.75-5 mm) steel tips and size 16, 24, 32 and 40 inch cables and is packaged in the HiyaHiya Interchangeable Needle Case made of a lovely silk brocade and cotton twill. The HiyaHiya Interchangeable case is lightweight and portable and perfect for storing your HiyaHiya or other interchangeable needles. Each case has 16 needle pockets and 2 zipper pockets for accessories and measures approximately 7 x 7 inches when closed. These sets are very cool and fit beautifully in a project tote. Also in stock, interchangeable cables and steel tips! Feeling the chill of Fall starting to creep in? Keep warm with the new Knitting with Friends Long Sleeve Shirts available in variety of designs and color combinations. These shirts range from Small to 2X-Large and are available in a number of designs including new designs for the knitters, spinners and crocheters in your life. Need a gift for your fibering friends... check out these shirts! Going to Stitches East in Hartford? Us too! Visit our booth and check out all the latest in gorgeous shawls, scrumptious sweaters and warm afghan kits! 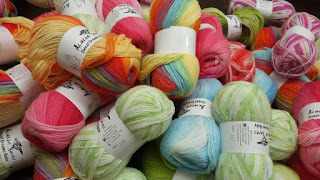 We will be in booths 421, 423, 425, and 427 and we will be fully stocked with hot new yarns and some oldies but goodies. Joining us on Friday and Saturday in our booth from 4:30-6:00 is Joan Davis, author and magnificent crochet teacher and designer who will be signing copies of her new book, 336 Crochet Tips! The Solutions Book For Crocheters. Joan won the Crochet Bling grand prize award at the CGOA/TKGA Fashion Show in Buffalo this past August for her gorgeous crowd-pleasing crocheted shawl! Don't miss your chance to meet her and bring home one of her helpful books full of priceless tips, solutions and inspirations!